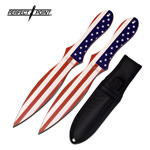 This well balanced Zombie Defiance Im Coming Throwing Knife Set is constructed of stainless steel with a black finish to reduce glare and prolong the life of the blade. 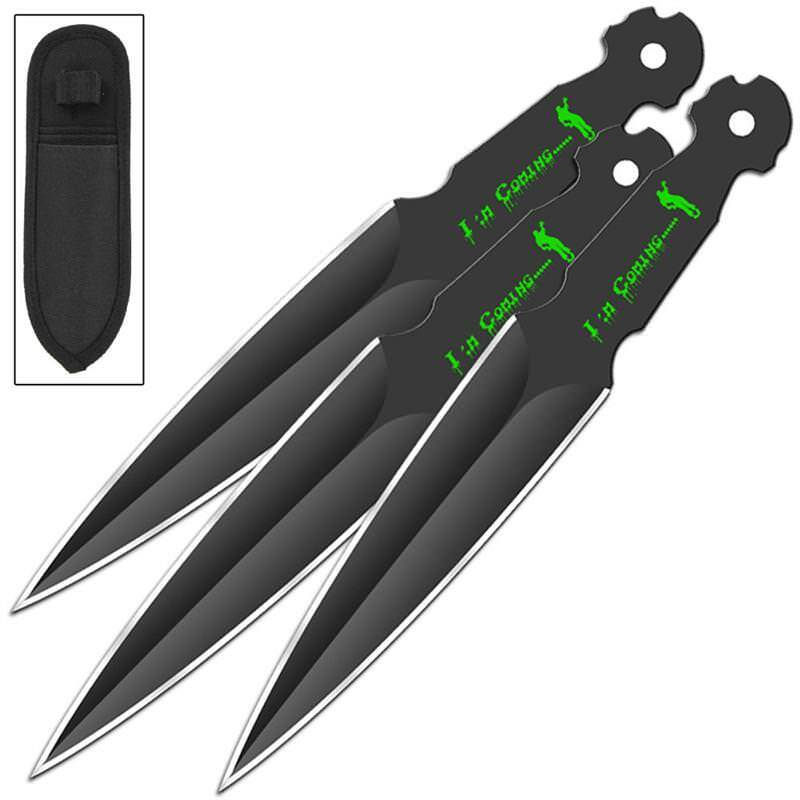 This 3 piece set has a zombie with Im Coming on the handle for added fun and flair. 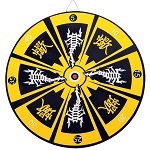 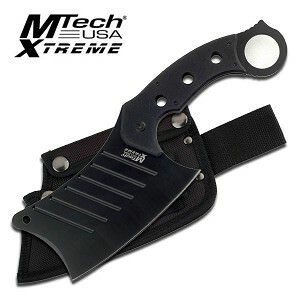 The edges are sharp and will slice throw the air at your target will awe inspiring speed. 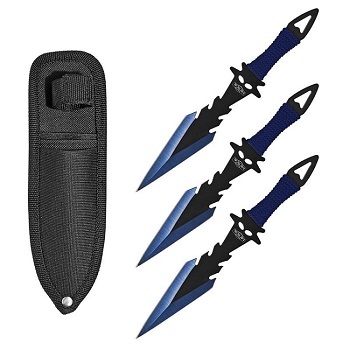 This set comes with three individual knives that include a nylon sheath with belt loop.